Relax, Restore and Energise your body and mind with Mindful Eating, Pilates, Meditation and EFT for Food Cravings. This is for you if you are stressed, don’t know how to relax, or just need Me Time. We will begin with Mindful Eating – please bring a healthy light lunch. Opportunity to see how mindfulness works better then dieting! We will explore your Food Cravings and show you how EFT could reduce it. Please bring a food that you crave but would like to give up (chocolate, biscuits, crisps???) What’s you’re poison? 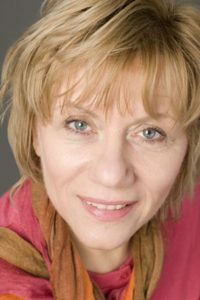 Marijana Dragojevic is a mind, body, nutrition coach, EFT practitioner and Meditation Teacher. She helps people to change their relationship with food. Sarah Gaddie is a Pilates Instructor and Health and Wellness Consultant. Love your Body with these amazing Healthy Pancakes. This recipe is also great for when you are weaning your baby, in fact my baby daughter and I both have these for breakfast sometimes, with a little greek yoghurt and some blueberries. Beat eggs for a minute. Mash bananas as for a baby, add to eggs, add dry ingredients. Mix it all together. 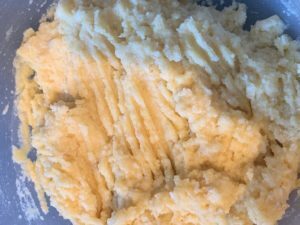 It should look a little like mashed potatoe! 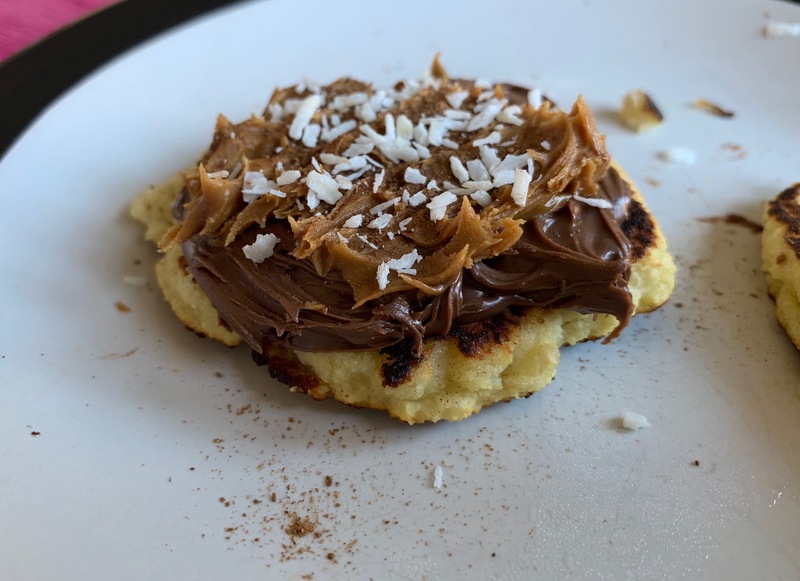 Put a tsp of coconut oil in a frying pan and when is hot add a tbsp of dough, push it down a bit and reduce a heat to medium. I usually put 3 pancakes in at the time. Flip them over cook for about a minute and it is ready to eat. Repeat a process. It is not easy to flip them over so it is good to keep them small. Makes it easier to manage! This programme is a powerful and affordable way to bring healthy eating into your life without dieting or willpower. You will learn strategies and tool that will last a lifetime so you can stop the war with food and your body. We will work in a small group, no more than 8 people. Research has shown that your chances of achieving good results are 50% higher if you have a partner. The course will run weekly commencing on Thursday, the 17th January – 21st February 2019 at 8pm. Sessions will last 60 – 75 minutes, via Zoom so you can participate from the comfort of your own home. No wasting time travelling, no parking problems or costs. 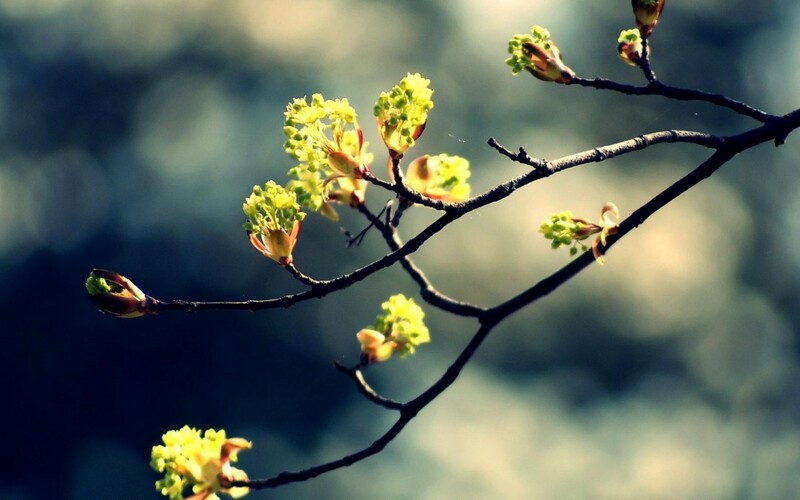 Zoom gives us the opportunity to see and hear each other. It is live and interactive work and it feels like we are sitting and talking in the same room. To find out more or book your place, phone Marijana on 07960 561874. Vitamin D – why all the hype? Vitamin D is in the news all the time. We are all deficient, we must supplement one week an then the next headlines about someone who overdosed! Is this really possible? What are we really supposed to do? Vitamin D is known as the sunshine vitamin because it is produced in the skin in respone to sunlight. It also occurs in a few foods naturally, these include fish (oily fish such as salmon and mackeral), fish liver oils and egg yolks. Many foods are also fortified with the vitamin and these include grains and dairy products. 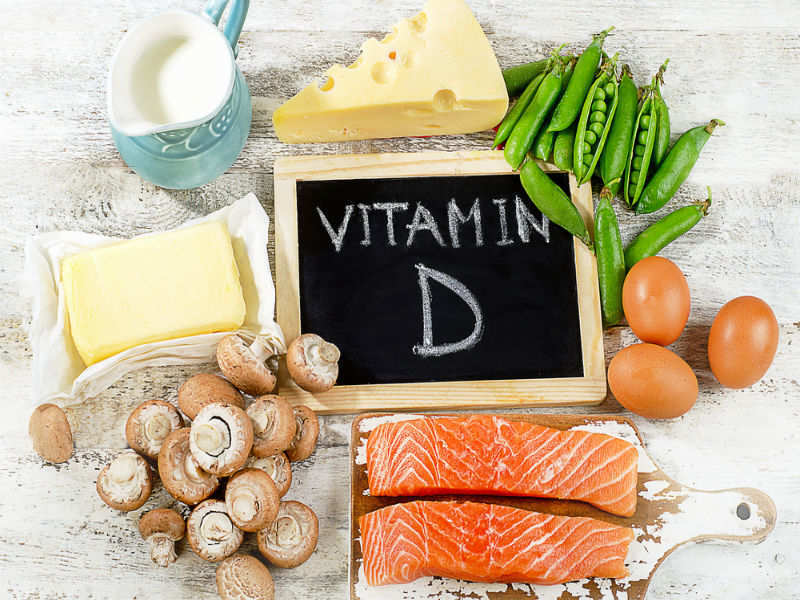 It is impossible to overdose of vitamin D via sunlight and foods, however excessive supplement use can lead to Vitamin D toxicity, this is known as hypervitaminosis D and results in the buildup of calcium in the blood, hypercalcemia. Research has shown that taking 60,000 international units (IU) daily for several months can cause this. This is much higher than the recommended daily allowance (RDA) of 600 IU. Unless treating a deficiency these sorts of doses are not advised and should only be taken under the supervision of a doctor, with regular blood tests to check levels for a limited period of time. Vitamin D is essential for our musculoskeletal system, because it helps us utilise the calcum from the diet. Calcium is not only essential for strong bones, but also is important in nerve transmission and muscle contraction. Vitamin D deficiency is most commonly associated with rickets, a disease in which bone tissue does not mineralise properly, however it is also related to many more health problems. Symptoms of bone pain and muscle weakness can indicate a deficiency. For some the symptoms are subtle and for others they have no obvious symptoms at all, but low blood levels still pose health risks because calcium is used so vastly in the body. 1) Increased risk of Cardiovascular disease. 2) Cognitive impairment in older adults – research has shown that vitamin D supplementation can help improve cognitive function in over 60s with dementia. 3) Severe asthma in children. 4) Research suggests that vitamin D when taken with calcium can prevent some cancers. 5) Research suggests that long-term supplementation reduces the risk of multiple sclerosis. Not consuming RDA over time. A strict vegan diet puts you at risk of this because the vitamin is mainly found in animal products. Limited exposure to sunlight. If you are homebound you are at higher risk of deficiency, especially if you have darker skin. The skin makes vitamin D using UV light. If you live in the northern latitudes, wear clothes that cover you fully (such as those or religious reasons), do not spend much time outdoors – you are at risk. In the UK those with darker skin are a higher increased risk because the pigment in the skin (melanin) reduces the skins ability to make vitamin D in response to sunlight. Seasonal affected disorder (SAD) is a form of depression that often begins in the autumn and continues into the winter months. Symptoms inculde feeling sad, low mood, anxious, fatigued, irritable, concentraion problems and feelings of hopelessness. Although the exact cause is not known studies suggest a lack of sunlight is the cause, as it is more common at higher latitudes and cloudy places. This link to lack of sunlight could potenitally be due to reduced vitamin D production and thus an affect on cognitive function. The other theories include a shift in our bodies biological clock. Less sun affects our ciardian rhythm. Another theory is a change in the balance of neurotransitters in the brain (serotonin and dopamine.) These last 2 theories would both result from a lack of vitamin D.
So what should the average person do!? As previously discussed the amount of vitamin D your skin makes can be affected by a number of factors. Depending on where you live and your lifestyle will affect vitamin D production. In many it can decrease or be completely absent in the winter months. In the summer months, especially in those who are fairer – sunscreen, whilst important, can also decrease vitamin D production. With modernisation many now do not get enough regular exposure to sunlight, and older adults also have trouble absorbing vitamin D. Taking vitamin D drops or a multivitamin with vitamin D will likely help improve musculoskeletal health. The recommended daily amount of vitamin D is 400 international units (IU) for children up to age 12 months, 600 IU for ages 1 to 70 years, and 800 IU for people over 70 years. Including oily fish and eggs into your diet a few times a week is also advisable and if vegan eating fortified cereals and plant based milks. Get yourself out each day and get your face in the sun. We still have the odd sunny day even in the winter! Its important to enjoy them when you can! 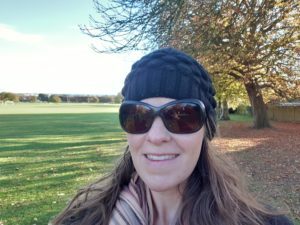 One of our Chiropractors, Rachel enjoying the November sunshine. Natures life is a great Vitamin D brand. We do not profit from recommending this product in anyway, it just happens to be the one we take ourselves!It is improtant you do not exceed the dose on the product and it is also important to get a Vitamin D3 brand, because vitamin D3 is more easily used in the body to help with calcium absorption. Penckofer, S; Kouba, J; Byrn, M and Estwing Ferrans, C. Vitamin D and Depression: Where is all the Sunshine? Issues Ment Health Nurs. 2010 Jun; 31(6): 385-393. 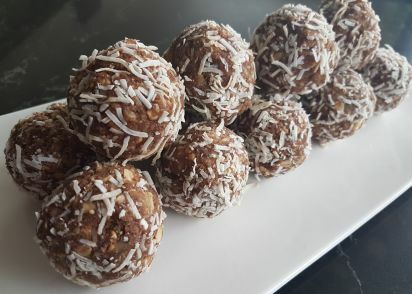 Protein balls are an amazing quick healthly snack. They are great for lunch boxes and for after sports. There are so many different combination, but with autumn upon us and the days getting colder, we thought warming ginger ones would be a great idea. Ginger is a fabulous ingredient. It can be used to make tea, in curries and soups and goes great in desserts. Ginger boosts bloodflow (wonderful for hands and feet in the cooler weather), is great for digestion and wonderful with honey and tumeric for a sore throat. 150g (1 cup) raw, unsalted cashew nuts. 1 tbsp virgin coconut oil. Desiccated coconut – a good handful. Place all ingredients, except the coconut into a food processor and blend until a thick mixture forms. The mixture should stick between your fingers. If it is too dry then add a small amount of water, or add more protein powder if too wet. Roll the mixture into small balls, about 12. Roll each protein ball in desiccated coconut to finish (if you don’t like cocnut, leave this out). Leave them to chill in the fridge for 30 minutes and serve chilled. They can be stored in an airtight container for 3-4 days. Marijana Dragojevic is a local Emotional Freedom Technique practitioner and also happens to be absolutely amazing in the kitchen. She has kindly shared her healthly chocolate mousse with us. The beauty about this recipe is it is so easy to make and its healthly. That’s definitely something to smile about! Put the dates in the blender with half of the water. Add water gradually ( you don’t want to much water). 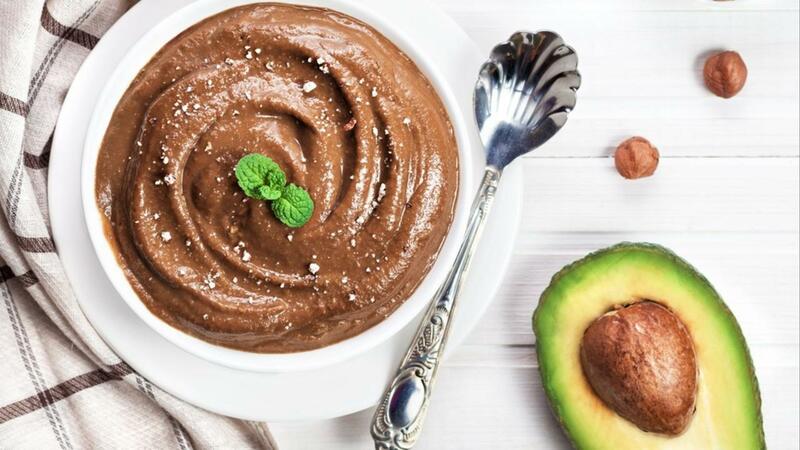 Add avocado, cacao and coconut oil and mix until smooth. Put it in the serving dishes and refrigerate for couple of hours. There is so much information out there, its often hard to know what to do. ‘They’ say you should eat this, then the next week minds have changed and its a definite no! More recently this argument has surrounded the consumption of alcohol. The safest advice is to abstain completely and the department of health recommends this, but if you do opt to drink 1-2 units once to twice a week is the limit. In terms of food, the best advice is to eat as clean as possible, by this I mean eat foods as close as possible to their natural state. If its in a package and the ingredient list is as long as your arm, chances are its not that good for you, therefore not good for your growing baby either! It is now known that a mother’s diet during pregnancy can not only affect the outcome of the pregnancy but also impact on the long-term health of child. For example, if a mother has a low calorie or low protein diet when pregnant the child has an increased chance of obesity in later life. These contain essential vitamins, minerals and fibre vital for yours and your developing babies growth. Choose a variety that can be raw, steamed, roasted, dried or juiced. 1 handful a day of seeds and nuts 2 portions (6oz) oily fish a week. Choose from salmon, trout, tuna and sardines. Protein is vital for a babies growth and development and it also contains iron and vitamins. Eating foods rich in vitamin C, such as kiwis and oranges will aid the absorption of iron. Bread, cereals, oats, rice, pasta, potatoes, sweet potatoes, corn, buckwheat & barely etc give you energy as well as minerals and vitamins. Choose something from this group at every meal. Wholemeal is most advisable. Raw Fish, Shellfish and Sushi – Raw meat such as sushi, seafood, rare or uncooked beef, or poultry because of the risk of contamination with coliform bacteria, toxoplasmosis, and salmonella. Undercooked or Raw Eggs – Raw eggs, or foods containing raw egg such as Caesar dressing, mayonnaise, home made ice cream or custard, unpasteurized eggnog, or Hollandaise sauce because raw eggs may be contaminated with salmonella. Bought mayo is ok.
Unpasteurized Milk and Juice – This goes right along with the raw eggs and raw meat topics. Milk is an animal product and unless it is pasteurised, it can have a lot of bacteria in it. Juice is full of sugar and is a rich breeding ground for bacteria as well. Be sure both are pasteurised. Herbs – There are many herbs that are very dangerous to your pregnancy. Never assume that a herb is safe until you talk to your doctor about it. This goes for herbal teas, herbal pills and other tonics. Soft Cheese – Soft cheese such as blue cheese, feta, Brie, Camembert, and Latin American soft white cheeses such as queso blanco and queso fresco because they may harbour harmful bacteria. Green Potatoes and Deli Meats – Potatoes, which have, green patches; this indicates a concentration of Solanin, which is poisonous and can cause damage to the baby. Deli meats and tinned meats – contain high amounts of nitrates and can be cancerous. Wash all prepared salads. There are three things that have to happen to successfully change a habit. The first is that you must make the decision to change. When you make a decision, you are affirming to yourself that you are willing to go to any lengths to make your wishes come true. This means that you will need to completely eliminate the word “try” from your vocabulary. When you say “I’ll try to do my exercises,” you are leaving an open door to not doing them. Then in your mind, if you don’t do your exercises, that’s okay because you only said you would “try” to do them. 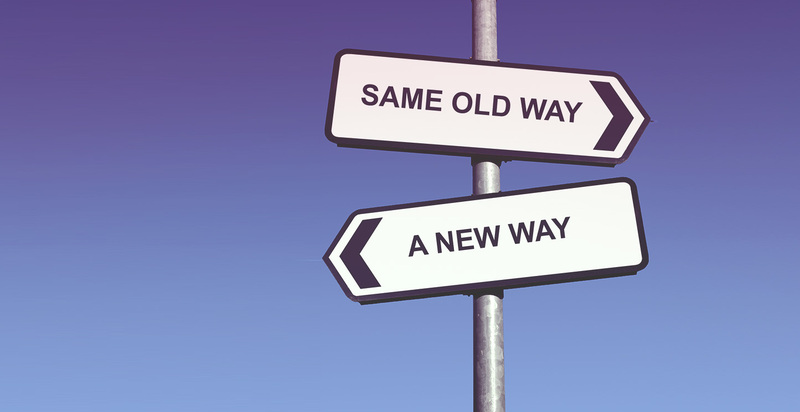 If you want to successfully change your habits to live a healthier life, you cannot leave an open door to your old habits. You need to just do it, just make a decision and not look back. The third is to work on yourself every day. The highest demonstration of a healthy and growing self-image and self-esteem is the commitment to work on yourself each and every day. You experience an elevated consciousness when you realise your power to step up to your greatness or default to your weakness with every challenge, distraction and decision. Working on yourself with consistency and persistence connects you to your inner wisdom and inner strength to become unstoppable.